Here’s one more clue that enhances the theory that life was seeded on earth from space. Algae from the Arctic Circle are used to tough weather, and it turns out they’re also able to survive the extreme conditions of outer space. 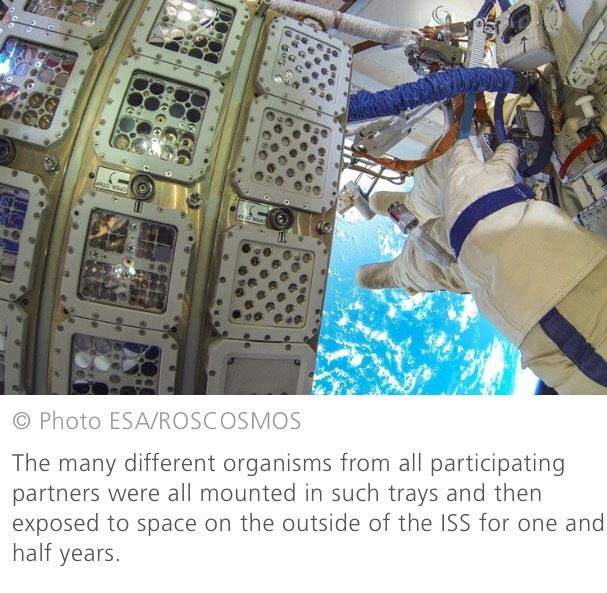 Two specimens recently spent 16 months on the exterior of the International Space Station and became the first plants to make it through these conditions. The algae, of the Sphaerocystis species, returned to Earth last June after 530 days on a panel outside the ISS, the Fraunhofer research organization announced last week. The specimens withstood conditions including intense ultraviolet radiation, temperatures ranging from -20°C to 47.2°C, and, of course, the vacuum of space. Within days of returning, the algae began behaving normally again, but researchers have yet to examine potential damage to the algal DNA. As New Scientist notes, the survival of the algae adds credence to the “panspermia” theory, which suggests that comets and meteorites can bring life to sterile planets. It also provides insight into whether humans could transport plants to grow on other planets. The interesting part of this to me is that we may all originally be extraterrestrials.